Ever thought of a career in pet care? Do you love pets? Are you business minded? We’re looking to expand our business by setting up Pooch Sitter territories throughout California. 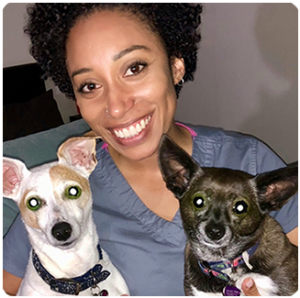 If you ever wanted to start a pet care business but haven’t had the money or know-how, we’d like you to consider joining the Pooch Sitter family. You can apply online now or contact us for more information. Can you work all major holidays, including Thanksgiving, Christmas, and New Years? Can you work Monday through Friday each and every week? Are you looking for a long-term position? Are you looking for a seasonal position? Do you have any credit, criminal, or driving offenses? 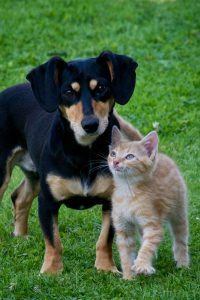 Do you have any pet ownership, pet care, or petsitting experience? hat types of pets you are able to care for (dogs, cats, fish, birds, rodents, reptiles, horses, other)? Are you able to walk 3 or more dogs at a time? Do you currently work or go to school? Do you have a vehicle that you can transport dogs in? 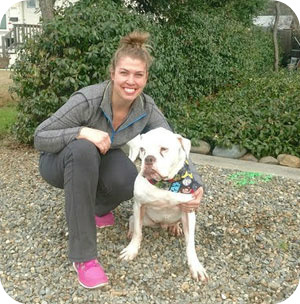 How did you hear about Pooch Sitter job opportunities? How much would you like to make per week? Approximately how many hours do you wish to work each week? Why would you be an asset to Pooch Sitter? What other information should we consider about you that may influence our decision to hire you? Lori helps in the Orange location. She can do overnights; visits; walks. 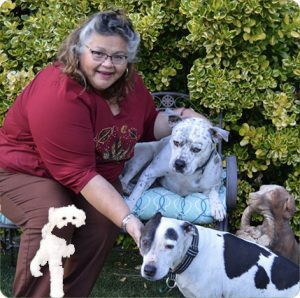 She’s been an animal lover all her life and her goal for all assignments are to make Your fur babies feel safe & loved. She has a very old kitty of her own. I’ve been an animal lover since I was about 4 yrs old which was around the time I got my first dog. When I went to college I found a job as a customer service rep in a veterinary hospital in Elk Grove. After a few years of working at the vet I started working for Pooch Sitters. I decided I needed some love in my life so I rescued a dog that I named named Special Eddie (he had a lot of medical issues but was the best pup) and after a short year together he suddenly passed and my heart yearned for something to love me again and that’s when I got Harlow and then Porkchop. These two bring so much light and happiness to my life, being their dog mom is a true blessing. I don’t know what I’d do without them.